Barcelona will be filled with music from the 28th to the 31st of May with the Primavera Sound, one of the most important music festivals in the city. 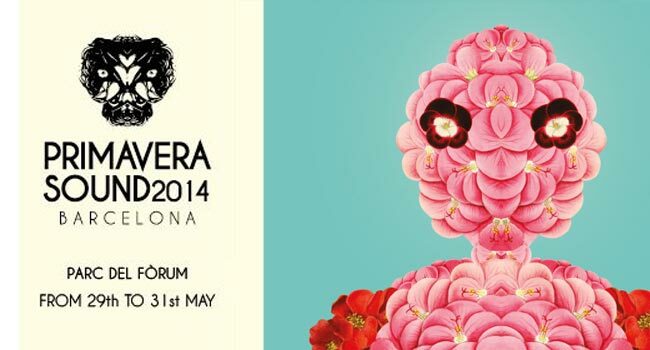 The Primavera Sound Music Festival brings each year to Barcelona the most important groups from the international and national independent music scene and it always does so with surprises and new formats. The great success of the Primavera Sound is probably that it has learned to mix the most innovative groups with the more established artists, as well as mixing different styles, mainly rock and pop, to underground electronic and dance music. The Primavera Sound music festival will be held in the Parc del Forum, an area created in 2004 to celebrate the Forum of Cultures which offers an ideal space for holding these type of festivals. You can also download the official application from the Primavera Sound available for iPhone and Android, which besides allowing to set alarms to not miss any concert, it offers an extra service that will allow users to listen in streaming all concerts at any time of day.